Tricky question at the end of the case study! 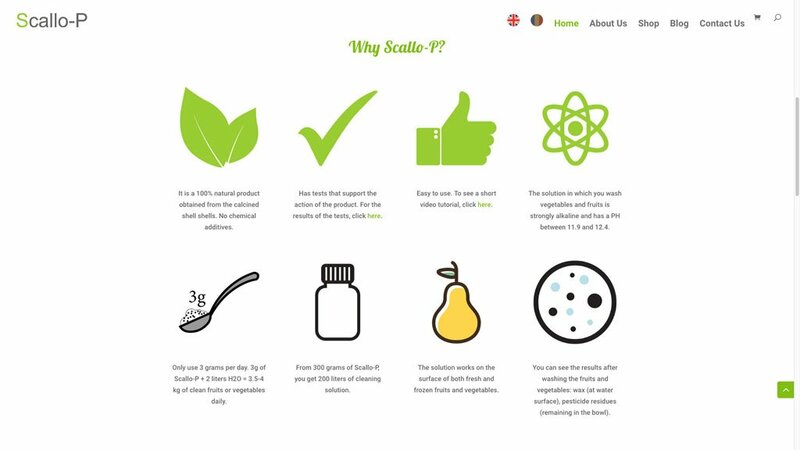 Living healthy, Japan, fruits, vegetables and alkaline powder are just a few keywords that describe Scallo-P. A product that comes from Japan in the form of alkaline powder, which poured in a bowl of water creates a solution for eliminating chemicals from fruits and vegetables. They wanted a website for people who are interested in maintaining their health. The Homepage starts with a short clip that presents the effect of the product. Scrolling down we find eight of the most important benefits of the alkaline powder. Afterwards, we can see illustrations with usage instructions of the product. At the end of the Homepage we can find three of the most recent blog posts and their excerpts. Rise awareness of the importance of cleaning fruits and vegetables of chemicals before eating them. Present the only 100% natural way for washing fruits and vegetables. The accent colour of this website is green. The Homepage uses multiple colours through its illustrations like blue, red, yellow and orange. The background is white, so as to make the illustrations stand out. The website structure is comprised of five main pages. The about page describes the brand, its purpose and the product itself. The shop page presents the main product (the alkaline powder) and some additional products (essential oils). The blog page shows articles about the product, health events and exhibitions. The contact page provides contact information (like phone number, e-mail address and social networks) and a map that is centred on Bucharest, Romania. The English version of this website features live currency display on the product page, so that buyers outside Romania can estimate the price in euros or dollars. The cost of transport can always vary according to the region of each customer. 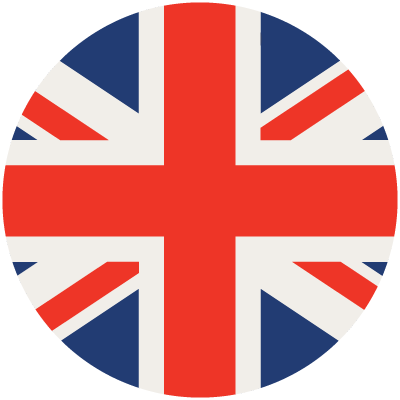 Here is a tricky question, do you think that someone who sells globally should buy a domain name (www.site.co.uk) for each country (with the prefix of each country, i.e. : co.uk, de, ns etc…) and build different websites according to the target audience? See the story behind the brand identity of this website. Web design can be very tricky when the target audience is a niche. It can be counter-intuitive to keep things simple, but it is mandatory to build an online strategy for your specific audience.